The Army issued awards March 15 on a cyber contract that could total up to $982 million. The R4 contract is just for research and development — not materiel solutions — in support of the cyber mission, according to an Army spokesperson. It is not immediately clear what the contract is focused on, but both Northrop Grumman and General Dynamics provided clues in announcements that they are companies awarded under the R4 vehicle. It will support cyber and electronic warfare research and technology development, studies and analyses, integration support, laboratory demonstrations, integrated systems development, testing, performance verification, fabrication, logistics, technical support services and cybersecurity, the Northrop release said. Northrop told Fifth Domain that it has already been awarded a task order under the contract to deliver a capabilities white paper. General Dynamics noted in its release that the contract will serve as the Army’s primary source of cyber innovation and delivery. Previously, much of the manning and materiel side of cyber teams was focused on U.S. Cyber Command. Now, with these teams fully manned, the Army is beginning to establish and field its own cyber units that will conduct defensive, offensive and information operations, and therefore is exploring ways to equip them. Most capabilities will focus on the tactical side, as authorities and teams for offensive cyber already exist at national levels above the Army. These tactical offensive capabilities can typically be conducted through the electromagnetic spectrum, rather than the IP-based operations conducted by U.S. Cyber Command. The Army wants to use cyber and information capabilities to compete with adversaries below the threshold of conflict. 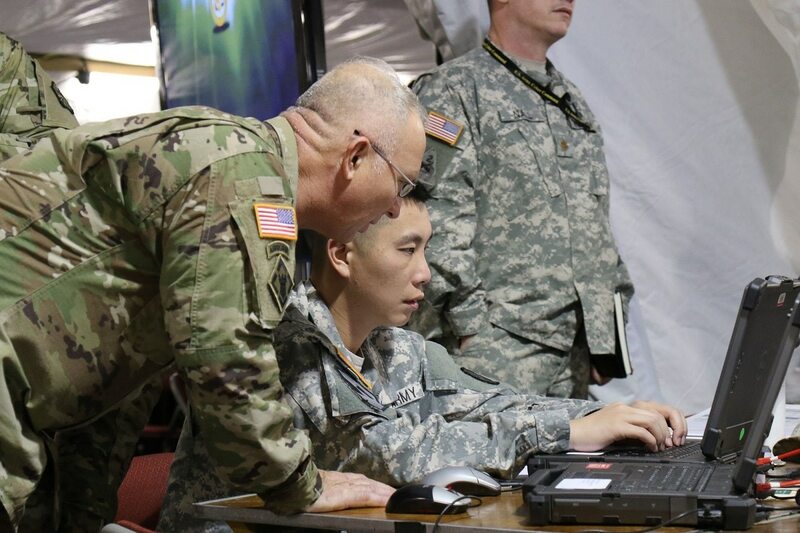 Army units include the new Intelligence, Information, Cyber, Electronic Warfare and Space detachment (I2CEWS) — a battalion-sized unit described as the “brain” of the Army’s multidomain task force — as well as the 915th Cyber Warfare Support Battalion. The Cyber Warfare Support Battalion will be an Army Cyber Command asset at the division level with 12 expeditionary cyber teams consisting of 45-person detachment sized elements that will be in support of brigade combat teams and arrayed over that brigade’s battlespace. They will conduct tactical cyber and electronic warfare operations.